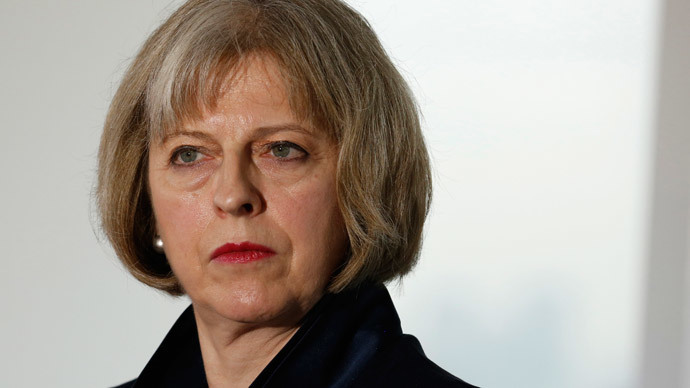 Theresa May’s Counter-Terrorism and Security Bill received royal assent on Thursday, meaning tough new measures to prevent suspected terrorists from traveling to Iraq or Syria will come into force within the next 24 hours. The act of royal assent, where Queen Elizabeth II signs an act of law, is the final stage needed to pass any bill, and means the measures, which were announced by the Home Secretary in November last year, can come into force almost immediately. They include bolstering existing powers for passport removal, and will allow police to “disrupt” individuals who are suspected of leaving the country to join terror cells abroad and prevent them leaving the country while investigations are carried out. Some counter-terrorism and security laws will also impose a duty upon pubic bodies including police, schools and universities to address individuals they believe are at risk of radicalization. They are set to commence in the coming months, subject to Parliamentary approval of crucial secondary legislation before the end of March. Last week MPs and peers told the Home Secretary that universities should be exempt from these new measures, as they would seriously impede academic freedom of speech. A consultation paper published before Christmas said that universities “must take seriously their responsibility to exclude those promoting extremist views that support or are conducive to terrorism,” and that staff will be expected to refer suspected students to anti-radicalization programs. The Act will give security agencies the ability to find out which device is responsible for sending suspect communications or accessing an internet communications service used by terrorist organizations. It will also widen the remit of the Independent Reviewer of Terrorism Legislation and create a separate board, the Privacy and Civil Liberties Board, to support them. Prime Minister David Cameron previously announced additional funding of £130 million to aid and support counter-terror measures, including funding to monitor terrorist activity and resources for anti-radicalization programs.